Wings and a waddle here we come! 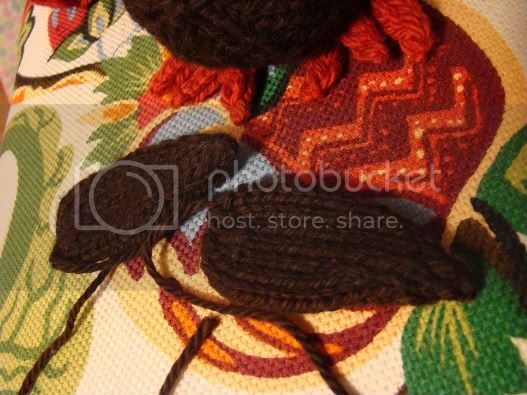 Here is the next part of my Tiny November Knitalong. How are you all doing out there? 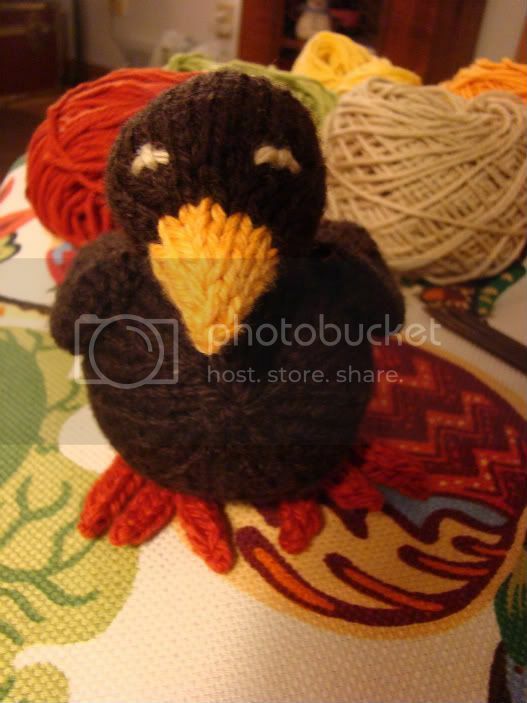 I’ve been checking out the knitalong Ravelry page and it looks like a lot of people are following along. Today we will start off with the wings. 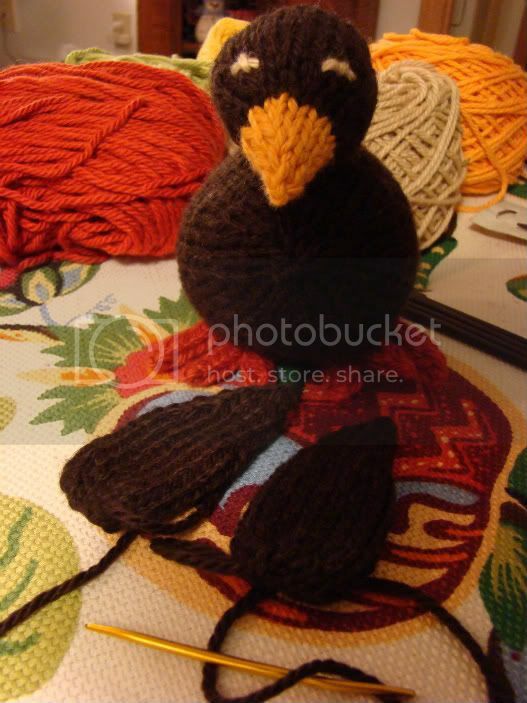 With Rootbeer and the double-pointed needles, cast on 9 stitches placing 3 stitches on each of 3 double-pointed needles. Join to work in the round being careful not to twist the stitches. 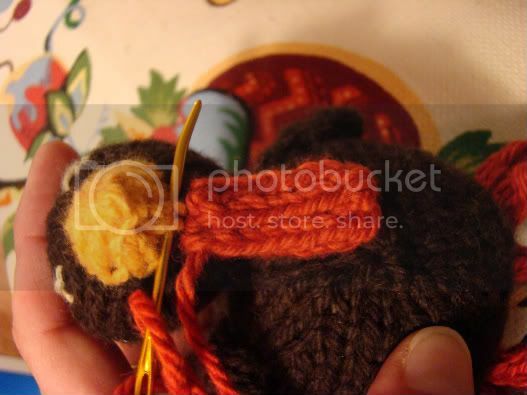 Place a stitch marker on the first stitch. 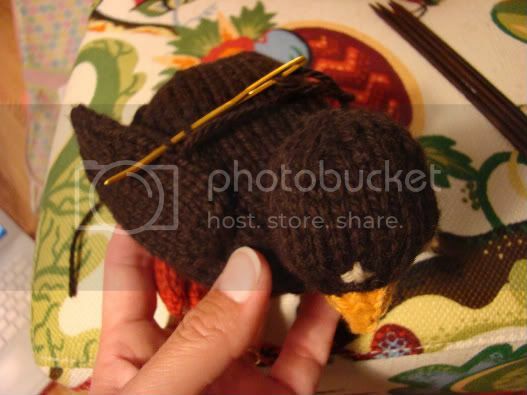 Knit every round until the wing measures 1 ½ inches from the cast on edge. Cut the yarn and place the end on a yarn needle. Pull the end through the remaining stitches. Pull up tight to close the hole. Take a couple of stitches to secure and pull the end to the inside and trim to stay inside. Place the end from the cast on stitches on a yarn needle and whipstitch the cast on edge closed. Flatten out the wing and pull into the desired shape. Whipstitch the cast on edge to the body. 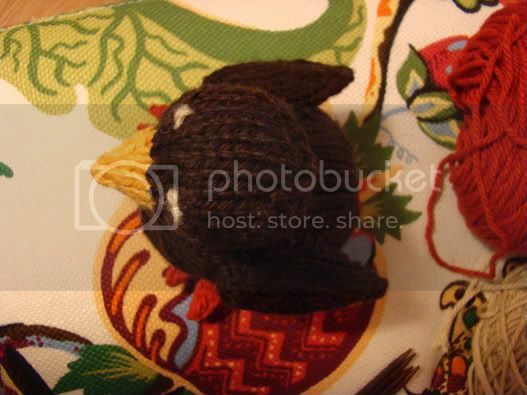 Continue with the whipstitch across the top of the wing for 3 or 4 stitches. Pull the end to the inside and trim. Et voila! Wings. Be sure to look at your turkey from all angles to make sure the wings line up on both sides of the body. 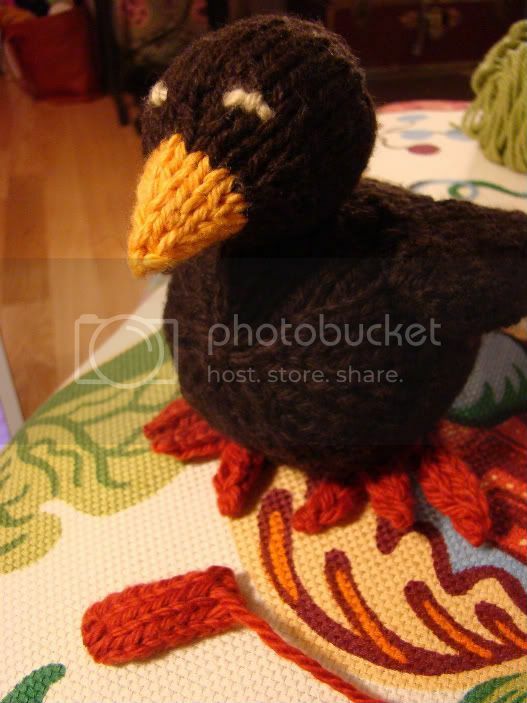 Placement of features is always so important in toy knitting. He’s looking fantastic sporting those wings but there is a little something still missing. Onward we go with the waddle! With Firecracker and the double pointed needles cast on 6 stitches placing 2 stitches on each of 3 double pointed needles. Join to work in the round being careful not to twist the stitches. 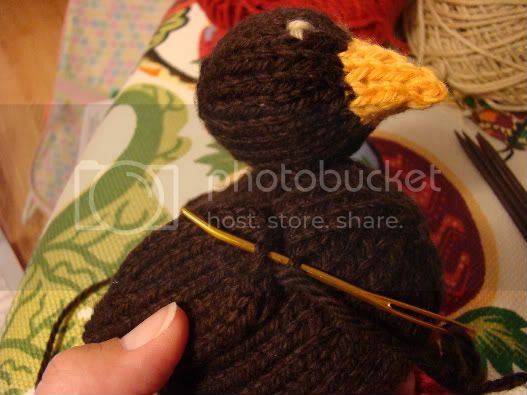 Place a stitch marker on the first stitch. 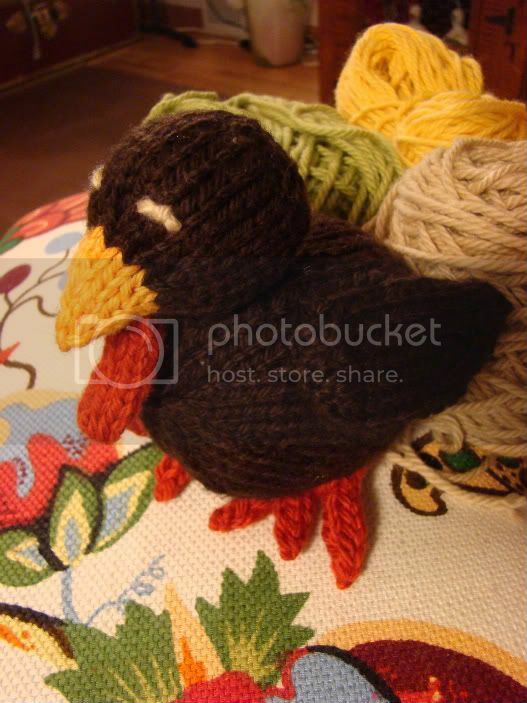 Knit every round until the waddle measures 1 inch from the cast on edge. Get your fall colors of Sweater yarn ready to roll. I am using Toast, Firecracker, Grass, Firefly and Pollen to finish up here. We are going to make some tail feathers. I am going to try my hardest to get this wrapped up sometime tomorrow. 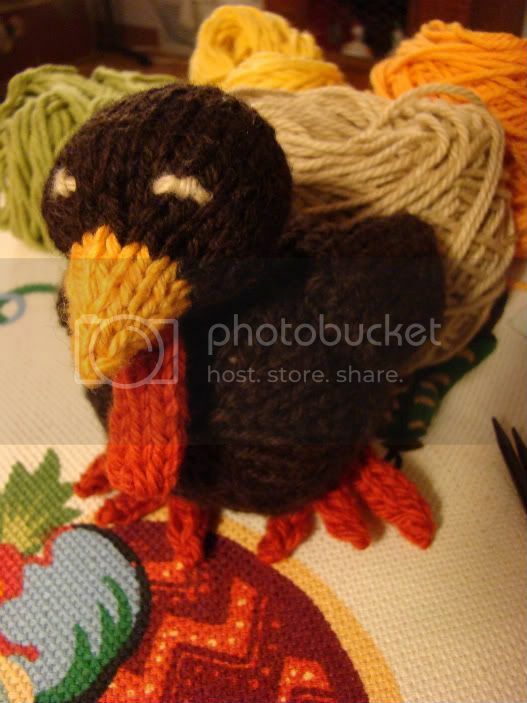 I want you to make as many turkeys as possible before Thanksgiving rolls around. I’m sharing the turkey love!